Athletes have always had unique needs in Sports Medicine. Accordingly, Regenerative Medicine is no different for athletes. Recent press is flush with reports of elite athletes receiving Platelet Rich Plasma (PRP) or Stem Cell Therapy for a variety of sports injuries. The use of Regenerative Medicine therapies for athletes with osteonecrosis or avascular necrosis (AVN) is less known. Elite players that developed avascular necrosis (AVN) like Bo Jackson, were not fortunate to be around when Sports Medicine intersected with the emerging field of Regenerative Medicine. Jackson had a hip replacement, and the injury derailed a fabled career. What would have happened to the two sports superstar Bo Jackson had he played currently, in the dawn of the sports stem cell age? That is an intriguing question that begs an understanding of what is osteonecrosis or avascular necrosis (AVN). Avascular necrosis (AVN) is a condition in which the blood supply to a region of bone is disrupted. This results in ischemia (avascularity) as oxygen and nutrients are lost to the bone. The affected bone area essentially dies or becomes necrotic. In sports and athletic injuries, this is usually the result of trauma. Other potential causes are excessive corticosteroids (cortisone), alcohol, certain disease states (sickle cell, gaucher’s, caisson’s, lupus) and it also occurs for unknown reasons (idiopathic). AVN may affect any bone, however it is commonly seen in the hip, shoulder, knee, ankle and wrist. Traumatic injuries are commonplace in sports, and avascular necrosis (AVN) will be seen. Dennis M. Lox, MD, a Sports and Regenerative Medicine specialist with expertise in treating avascular necrosis (AVN) in the Tampa Bay, Florida area, comments that, he has seen athletes in multiple different sports with AVN. Football, soccer, baseball, tennis, and cycling to name a few. Many have continued in their sport successfully. natural healing cells for injury. Stem cells repair, regenerate, and also have a potent anti-inflammatory effect that can aid in healing. When tissue is damaged the body tries to use it’s own endogenous source of stem cells for repair. With AVN, healing is hindered due to the poor blood supply and is further compromised by the necrotic bone. This may be circumvented by the addition of a concentrated source of the patients own stem cells that can be injected into the area of osteonecrosis or ischemic zone. Stem cells are obtained from the bone marrow or fat of the patient athlete. Platelet Rich Plasma (PRP) has seen attention for elite athletes with various knee maladies, Tiger Woods, Kobe Bryant, Alex Rodriguez, and Rafael Nadal. Platelet Rich Plasma (PRP) has been used for the treatment of AVN. Dr. Lox states that Platelet Rich Plasma (PRP) is a useful adjunct, but is not truly a stem cell therapy. Reports of PRP being effective in treating AVN are available, yet Dr. Lox has experience and expertise with failed PRP athletes with AVN that were successfully treated with Stem Cell Therapy. Dr. Lox notes that it is the manner of repair that is possible with stem cells that is exciting for athletes with AVN. Secondary arthritis may develop with AVN leading to joint collapse. Any athlete interested in prolonging their career will wish to retard, deter,or prevent secondary arthritis from occurring in AVN or any other sports injury. Floyd Landis a Lance Armstrong racing nemesis, developed debilitating hip pain that eventually led to hip replacement. Ray Emery, a goalie with the Chicago Blackhawks underwent hip surgery with bone grafts and did return a year later in 2011. John Montefusco a relief pitcher in the 70’s and 80’s, was injured in a car accident, a year later he had hip surgery returned to pitch 12 1/3 innings before retiring. Mike Napoli was caught off guard in the last offseason. A routine physical exam revealed he had hip avascular necrosis. He was set to sign a 3 year $39 million contract, only to get a 1 year $5 million contract. This does reflect the stigma of being a competitive athlete with the diagnosis of AVN. Perhaps the other side of the coin is Brett Favre. When Favre was traded to the Packers by the Falcons in 1992, he failed his first physical exam in Green Bay as he was diagnosed with avascular necrosis. The Packer general manager listened to his team physician and kept Favre. To this day Favre relates that he is bothered from time to time and has less motion in his hip socket. But it did not deter a Hall of Fame career full of MVP trophies. What knowledge can be gained from this lesson? Some will play others will not. The degree or severity of AVN is important, yet the new generation of athletes that get AVN, will look for where modern sports medicine has intersected Regenerative Medicine. 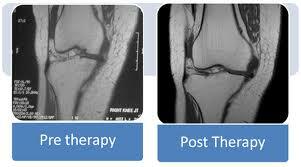 At this juncture, Regenerative therapies that are currently available Platelet Rich Plasma (PRP) and Stem Cell Therapy will find an appropriate place to treat osteonecrosis or avascular necrosis in either the early stages to repair and regenerate or to lengthy an athletes career by preventing secondary arthritis from developing. 1.What if Brett Favre’s AVN had been worse? 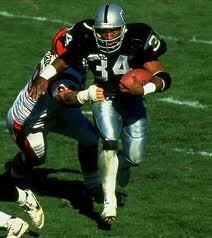 2.What if Bo Jackson had been treated with stem cells? 3.How would we feel about stem cells then?